Home > Mortgages > Could an FHA Loan Keep You From Your Dream Home? Could an FHA Loan Keep You From Your Dream Home? FHA loans, with their low down payments and relaxed credit requirements, are supposed to make it easier to buy a home. But home sellers haven’t always welcomed FHA offers with open arms. Stories about nit-picking home inspections, marginally qualified buyers, delays in closing and demands for substantial seller concessions sometimes make some sellers reluctant to accept FHA offers. But lending and real estate professionals say those concerns are largely overblown or outdated. Brooks said there may also be a perception that FHA borrowers are stretching themselves financially to make the purchase, and don’t have much of a cash reserve. That could be a problem if the appraisal comes in low and the borrower has to come up with additional cash to close the loan. The fact a borrower is using an FHA loan doesn’t necessarily mean a borrower is marginally qualified, Brooks said. He notes they may simply be holding cash in reserve for other purposes, such as home improvements after the sale is completed. In fact, in most areas borrowers can’t even make an offer to a listing agent unless they’ve already been pre-approved for a mortgage, according to Mary Adams, branch manager of Movement Mortgage in Ann Arbor, Mich. That means a lender has already done an initial check into the buyer’s finances. “That assures the seller they don’t have to worry about the buyer’s credit,” she said. Even so, a seller is going to assume that an offer from a buyer putting 20% down is going to be more solid than an offer with 3% down, Adams said. “All things being equal, the seller is obviously going to take the one with 20% down,” she said. Another issue may be that the FHA is still dogged by its old reputation for overly demanding standards on home inspections, requiring that minor repairs be completed at the seller’s expense before the sale could be approved. But those standards have eased considerably. Adams said that back in the 1970s FHA inspectors would go so far as to require that rooms be repainted before a sale could be completed, and just because the paint was faded and not even peeling. But all that changed after the FHA significantly relaxed its guidelines some years back. “They realized their job was to help the public buy homes,” she said. There must be ground-fault interrupters installed wherever there is an electric outlet near a water source at counter level, such as by a bathroom or kitchen sink. Any tripping hazards, such as from uneven concrete or paving stones, must be corrected. There may be no peeling paint, particularly in pre-1978 houses where there might be a lead exposure hazard. Even then, those requirements aren’t necessarily limited to purchases with FHA loans. “I have seen appraisers cite the same things all the time for conventional loans,” Adams said. Another potential turnoff for home sellers with FHA loans is the seller concessions. FHA mortgages allow sellers to contribute up to 6% of the sales price toward the buyer’s closing costs, compared to 3% on conventional loans. Sellers don’t like the larger concessions, because they mean less money for them at the close of the deal. However, just because FHA rules allow a seller to contribute that much doesn’t mean they have to do it. Seller concessions are just one of the things negotiated between a buyer and seller in a real estate deal. If the home is priced attractively enough or if it’s a hot real estate market, a home seller might not have to make any concessions at all to close the deal. In fact, in some cases it could even be the FHA buyer who has to make concessions to the seller. “You’re going to have to do something to sweeten the deal if you’re an FHA buyer in a hot market right now,” said John Windle, a Realtor in McKinney, Texas. Windle, team leader of the Windle Group at Coldwell-Banker Apex Group, said that he tells FHA clients that the days of seller concessions in the hot markets of the Dallas-Ft. Worth area are over. In fact, he’ll often suggest that FHA buyers offer to do something like pay for their own title insurance, which represents about a 1% concession to the seller. In a slower, less populated market where homes might take 30-60 days to sell, rather than getting multiple offers the day they go on the market, a seller would be under more pressure to grant greater concessions to an FHA buyer. But on identical offers, Windle said, there’s really no cost difference to the seller between an FHA loan and a conventional loan for the same amount – as long as the home is priced accurately, it’s apples to apples. That’s not to say it’s always smooth sailing for home sellers when dealing with FHA buyers. 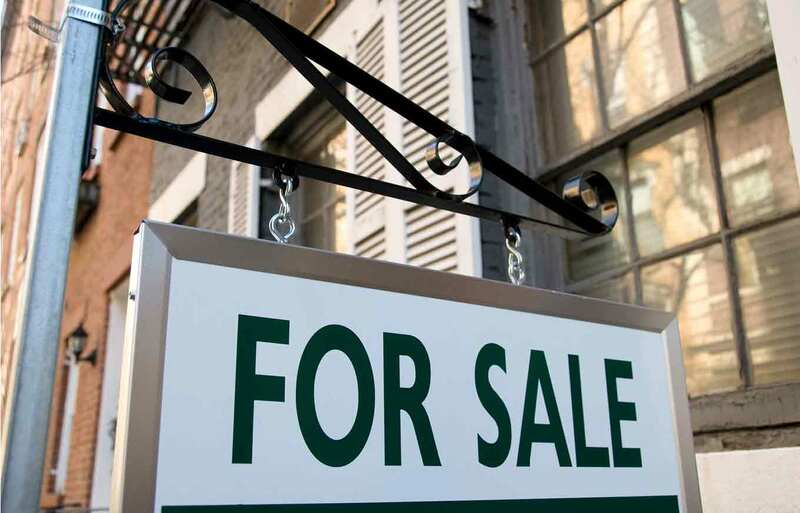 Deals for lower-end homes may have more difficulty passing FHA muster. John Markuson, a Chicago-area real estate investor, reported extensive problems with getting FHA approvals when he was selling a number of his former rental homes in the sub-$120,000 range last year. “They didn’t even seem to want the loans,” he said of the various lenders involved. He said he faced difficulty with both the inspections and getting approvals for seemingly well-qualified buyers. He said he’s not sure if he simply faced more obstacles due to the price range involved. Another potential problem area, according Adams, may arise with condominium purchases. In some cases, she said, condo developments may have owner-managers who have a bias against FHA loans. For example, the managers may not want to reapply for the development to be FHA-approved, a status that needs to be renewed every two years. If that happens, units in the development aren’t eligible for FHA funding. That’s in addition to the FHA’s occupancy rate requirements and limitation that no more than half of the units in a condo development be owned by the same person. While some sellers may still be resistant to the notion of FHA loans, excluding FHA purchasers can be costly. That’s because FHA loans account for roughly 30% of the home purchases under $300,000, many of them to first-time buyers. “By arbitrarily saying no FHA buyers, you’re cutting down the marketability of your property and excluding potential buyers,” said Brooks. Kirk Haverkamp is chief staff writer and editor for MortgageLoan.com. He covers the mortgage and personal finance industry from both a consumer and industry perspective, and provides guidance for consumers on how to approach the sometimes intimidating process of obtaining the right mortgage and personal finance products for their needs.